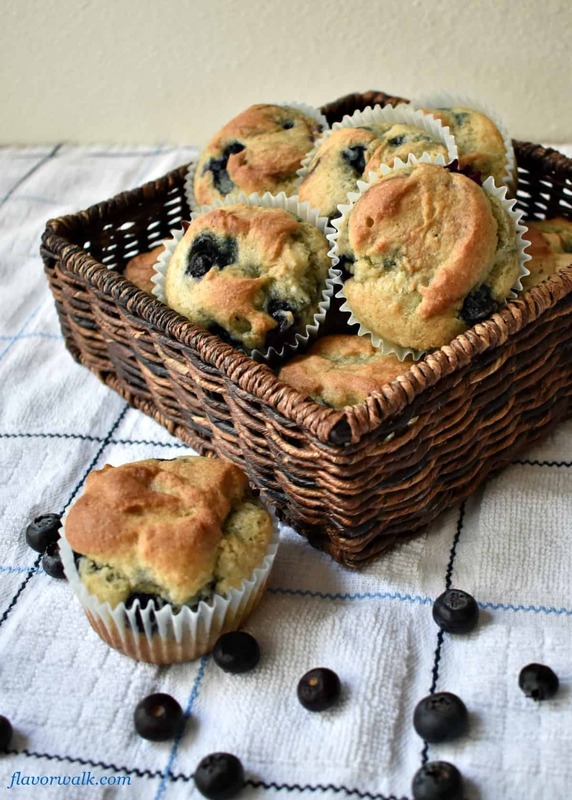 Easy Gluten Free Blueberry Muffins Are Moist, Sweet, And Filled With Blueberry Flavor. 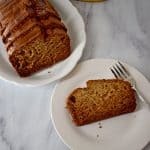 A Perfect Treat For Breakfast Or An Afternoon Snack! Summer is fast approaching and with it a bounty of fresh berries. You probably think I’m going to promote these muffins as the perfect opportunity to use some ripe blueberries. And yes, you can use fresh berries, but I really like using frozen blueberries for this recipe. 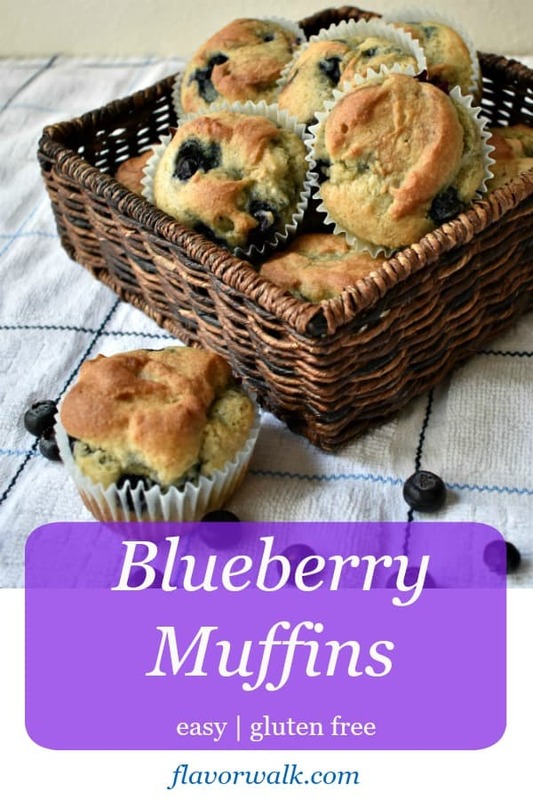 I’ve made these muffins a couple of times with fresh blueberries, but the frozen blueberries make these muffins extra moist. Plus, you can’t beat the convenience and year-round availability of the frozen variety. 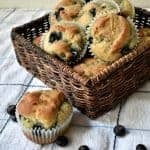 These Easy Gluten Free Blueberry Muffins come together very quickly and don’t require any fancy equipment to prepare. You need a mixing bowl, a wire whisk, measuring cups and spoons, a fork, spatula, muffin pan, baking cups and that’s it. Preparing the muffin batter couldn’t be easier. 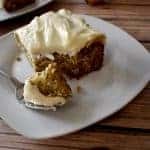 Simply whisk the dry ingredients together in a large mixing bowl, stir the wet ingredients together in a liquid measuring cup, pour the wet ingredients over the flour mixture and use a fork to combine everything together. Add the frozen blueberries and fold into the batter with a spatula. 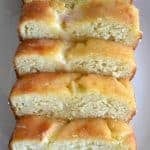 Divide the batter between the baking cups and bake for 20 minutes. It’s as quick and easy as that! 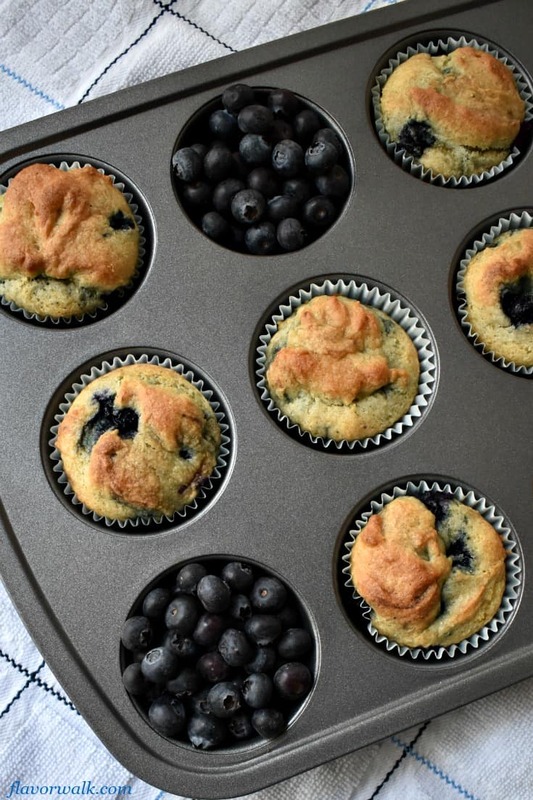 Lining your muffin pan with baking cups works better than greasing the pan. These muffins are delicate and the baking cups help the muffins keep their shape when you remove them from the pan. The baking cups also make storing and transporting the muffins easier. 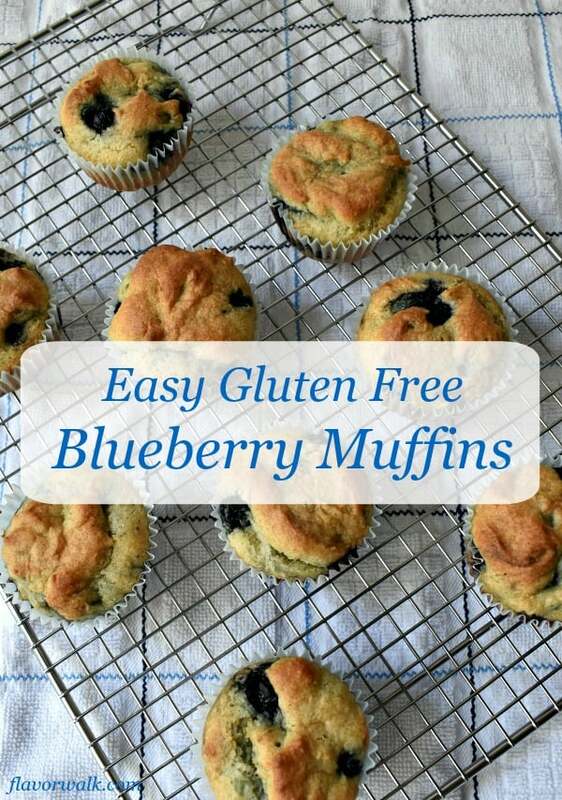 Jim and I really enjoy these Easy Gluten Free Blueberry Muffins. 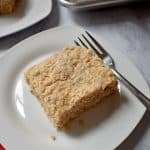 They’re perfect as a quick breakfast with coffee before heading off to work, or as a snack any time of the day. We go through these muffins so quickly I need to start making more than one batch at a time. 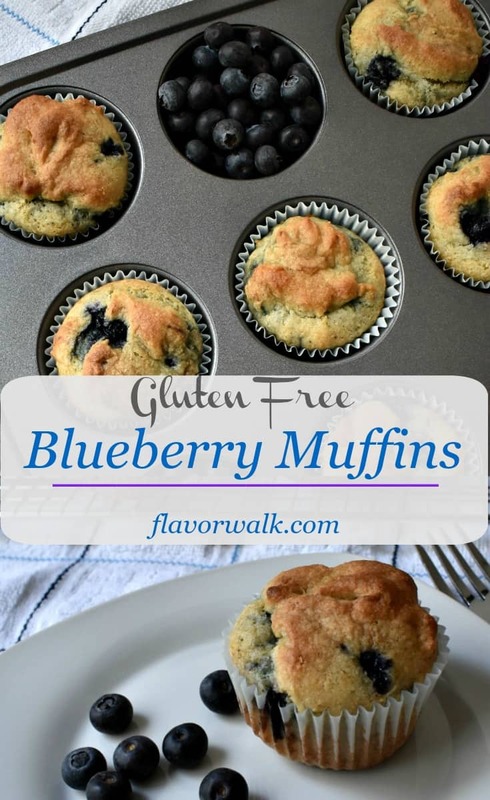 If you’re looking for a quick muffin recipe and enjoy the flavor of blueberries, give these Easy Gluten Free Blueberry Muffins a try. 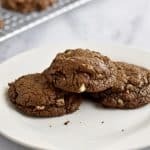 I know you’ll be baking them again and again! Happy Baking! 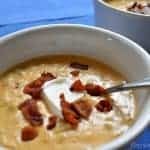 If you liked this recipe, follow Flavor Walk on Pinterest. Preheat oven to 400 degrees and line muffin pan with baking cups. 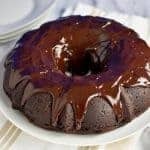 Whisk together the gluten free flour, xanthan gum, sugar, salt, and baking powder in a large mixing bowl. Using a 2-cup liquid measure, add the vegetable oil and egg. Continue filling the liquid measure to the 1-cup line with almond or cashew milk. Add the vanilla to the liquid measure and stir until combined. Pour the wet ingredients over the flour mixture and use a fork to mix everything together. Use a spatula to fold the frozen blueberries into the batter. Divide the batter evenly between the baking cups. Bake for 20 minutes, or until a wooden pick inserted in the middle comes out clean. 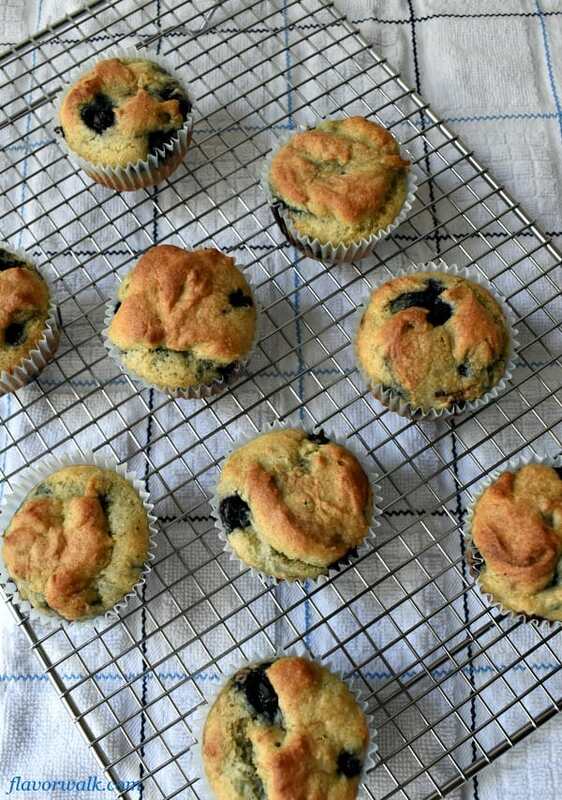 Allow the muffins to cool on a wire rack. Serve plain or with butter. Line your muffin pan with baking cups. The baking cups help the muffins keep their shape when removing them from the pan. Use a 2-cup liquid measuring cup when mixing the wet ingredients together. Thanks for pointing that out! The recipe has been updated. Yumm I can’t wait to try these! Welcome to Flavor Walk. 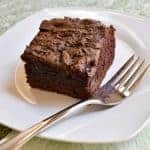 I’m Connie the author of this blog where I share gluten-free, simple and easy recipes that add flavor to life. Spend a little time, explore, and you may find some flavor to add to your life, too. 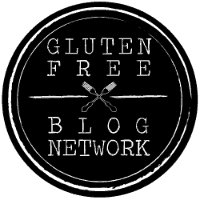 Sign up to receive new recipes delivered to your inbox! All images and text on this site are property of Flavor Walk. 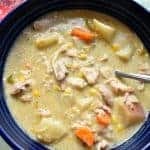 Feel free to share recipes you have made and provide a link back to the page on flavorwalk.com where you found the recipe. Pinning is always welcomed and appreciated. Thank you! Flavor Walk is a participant in the Amazon Services LLC Associates Program, an affiliate advertising program designed to provide a means for us to earn fees by linking to Amazon.com and affiliated sites.